Yoga and meditation are becoming more prevalent in today’s military community. The ease of finding a yoga class or a guided meditation has lowered the barriers to entry to these practices. 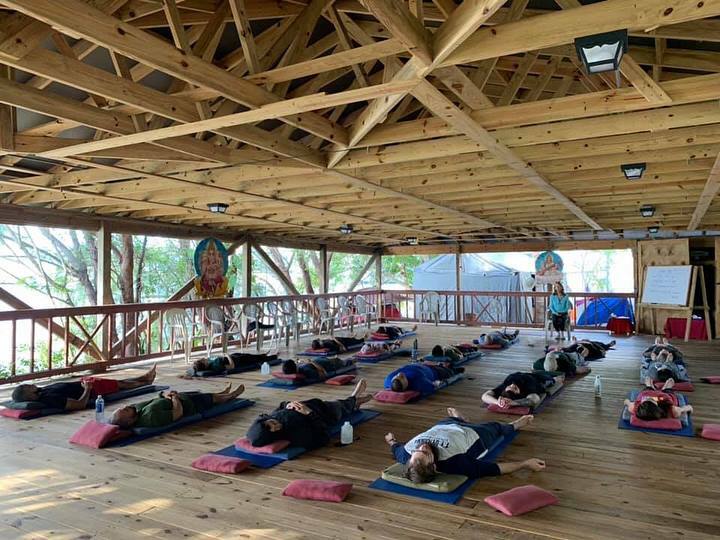 But even though they’re steadily gaining popularity, the idea of going on a retreat still seems a little too extravagant or “woo-woo” to some — especially to those in the military. Despite these perceptions, retreats can be incredibly beneficial for service members and veterans. Through a partnership with Manhattan College, Warriors at Ease offers a special retreat to their student veterans who participate in our Veterans at Ease program. 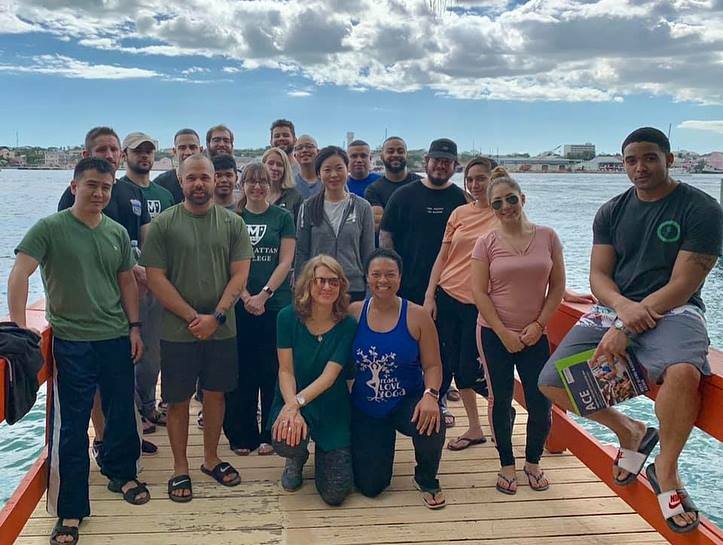 Teacher Assistant, Larisa Harrington, shares her experience with military, yoga, meditation and supporting student veterans on retreat through the Veterans at Ease program below. I began teaching yoga and other fitness classes a few years after joining the military. In addition to working at a civilian gym, I lead fitness sessions for the military members on my base and integrated yoga into our classes. Over the years, as yoga became more accepted, my yoga classes for veterans transitioned from focusing on the physical component needed to pass a PT test to the mental, emotional and spiritual benefits of yoga and meditation on our everyday lives. While on active duty, I also started working with the Air Force Wounded Warriors (AFW2) and was able to share yoga with wounded, ill and injured warriors and their caregivers. The more training I received in adaptive and trauma sensitive yoga — and the more I taught and saw the benefits firsthand — the more passionate I became about continuing on this path of supporting veterans by sharing yoga and meditation. In 2017, I became a Certified Yoga Therapist. I continue to focus on serving veterans by making yoga accessible. While doing karma yoga at Yogaville, I had the pleasure of meeting Robin Carnes, a co-founder of Warriors at Ease (WAE). I’ve done many trainings throughout the years and have learned from amazingly accomplished people — but Robin is special. She is knowledgeable and yet so relatable. She posses a beautiful ability to connect with people and allow them to be at ease. After meeting, we quickly became friends. She shared about her work with WAE and told me about their partnership with Manhattan College. The staff at the college is dedicated to supporting veterans in their transition from service member to civilian student. I was in awe over how much the college does to support veteran students. And one of the most amazing opportunities they offer is a veterans yoga retreat. 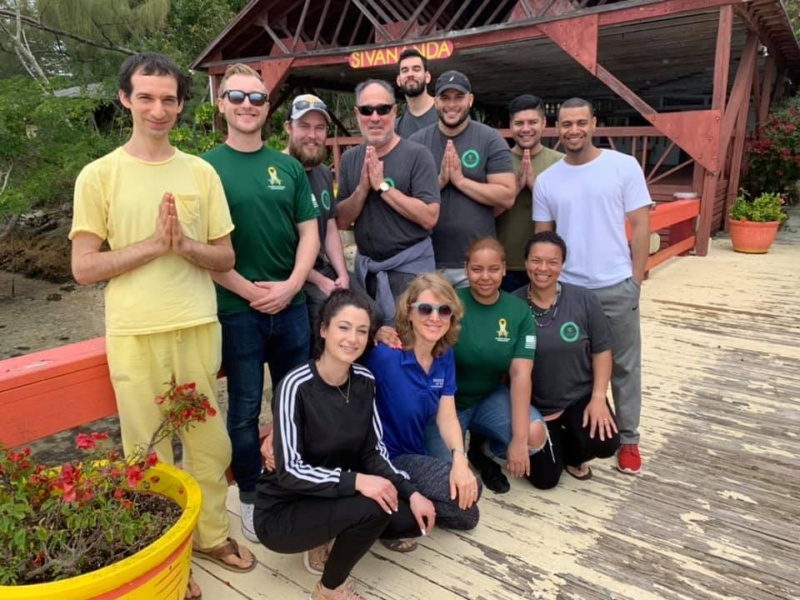 Twice a year since 2015, Professor Stephen Kaplan at Manhattan College (who also serves as the Director of Veterans Success), brings a group of veterans to the Sivananda Ashram in the Bahamas for a four-day retreat led by Robin and another WAE faculty member as part of his Nature and Expreience of Religion course. The retreat offers a combination of short lectures and experiential practices focused on helping veterans manage stress to better cope with school and life. 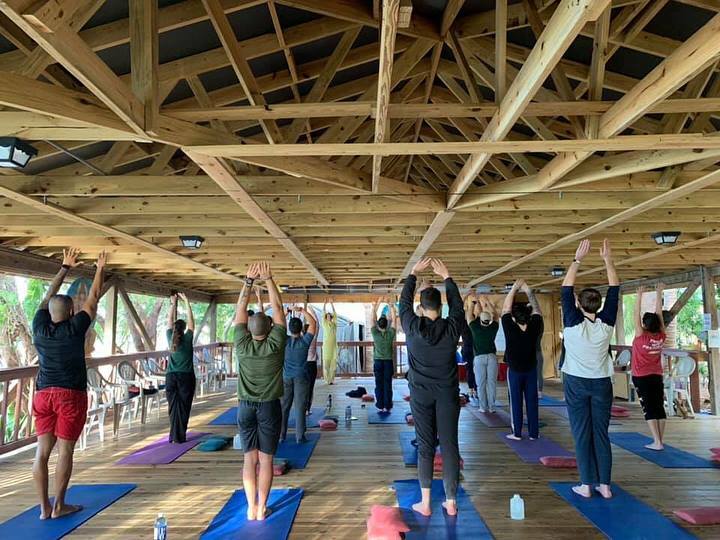 Offering this retreat at the yoga ashram instead of a school allows participants to have access to healthy food, a natural and peaceful environment, and positive social engagements — all of which help decrease stress. Robin invited me to assist her on two retreats and I was grateful for the opportunity to support this work but to also see this unique collaboration first-hand. The first retreat I assisted was in January 2019 and the second was in March 2019; both were incredible experiences. The veterans started each day with a Sivananda yoga class, led by an ashram instructor, and then Robin and I then led activities like different breathing practices, various styles of yoga classes, iRest sessions, and lectures on stress, sleep and gratitude. Many of the students stated that they arrived feeling stressed from school and home; some were also dealing with anxiety or other mental health concerns. It was amazing to see how quickly the veterans were able to benefit from the practices. Robin always says that the practices shared on retreat is just a buffet of options; students can take whatever works for them. All of the veterans were noticeably happier and more relaxed when they left. Each found multiple practices that supported them in their health and that they planned to use when they returned home. Most said that they found something to help them focus and stay alert during school and something to help them relax to improve their sleep. I retired from the Air Force in 2017, but my last job while I was active duty was working as a Readiness NCO. We provided training, workshops, and counseling on many different topics surrounding the well-being of military members and their families. Every day we met with people who were suffering and for many, leaving the military increased the number of stressors in their lives. I’m glad that the military has implemented mandatory resiliency training but there’s something really powerful about teaching veterans these types of simple practices in a setting outside of work or school with no distractions. These retreats allow people to learn and practice skills that will support them in their health and healing. Sometimes, just learning one new skill can make a huge impact on our life and we owe it to our veterans to support their well-being during their time in the service and as they transition to civilian life. I’m grateful that Manhattan College continues to invest in their student veterans through their partnership with Warriors at Ease. I remain hopeful that other schools and organizations will follow suit and find ways to support veterans with these immersive learning retreats. In partnership with Manhattan College in New York and the Sivananda Ashram, we’ve developed a program to support veteran-students called Veterans at Ease. To learn more, please visit the Warriors at Ease website.